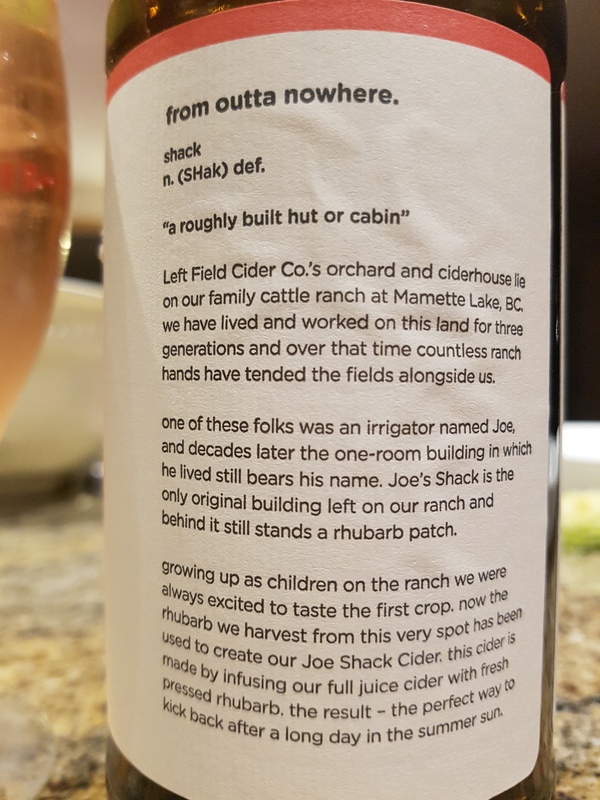 The Joe Shack (Rhubarb Cider) – Left Field Cider Co. (Logan Lake, BC, Canada) | Justintoxicated. Visual: Pours crystal clear blush pink with large bubbles hugging the side of the glass, sporadic fast bubbles surfacing. Summary: The dull cloying apple body combined with off-dry mids, too much tart-tanginess, and a flat CO2 equates to a subpar experience. The apple-rhubarb flavour itself is very muddled to the point where you are not sure what it is you are drinking. 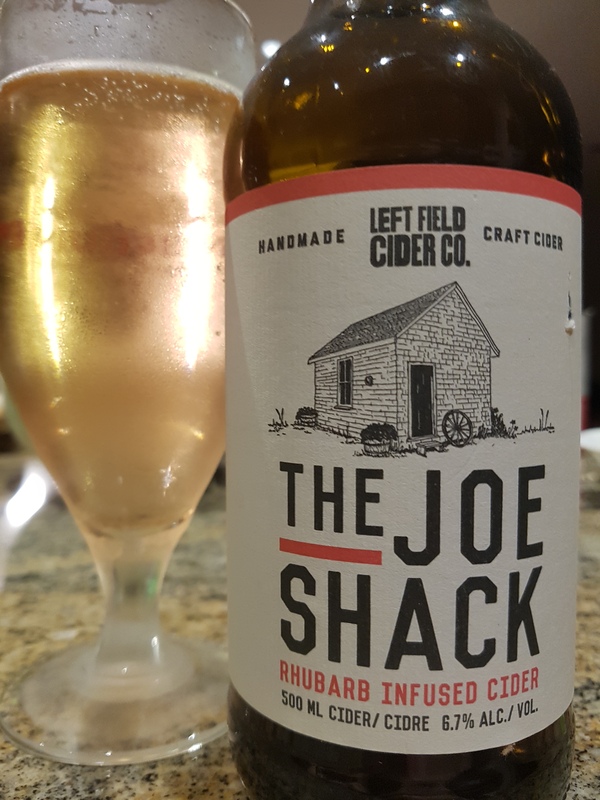 Definitely the worst of the five ciders I’ve tasted to date.